Whenever I need answers, I always turn to Mother Nature. Here we stand in the beginning of Winter and this got me thinking about how birds are prompted to migrate and then navigate vast distances. Some scientist think they can sense the magnetic field of the Earth which guides them. 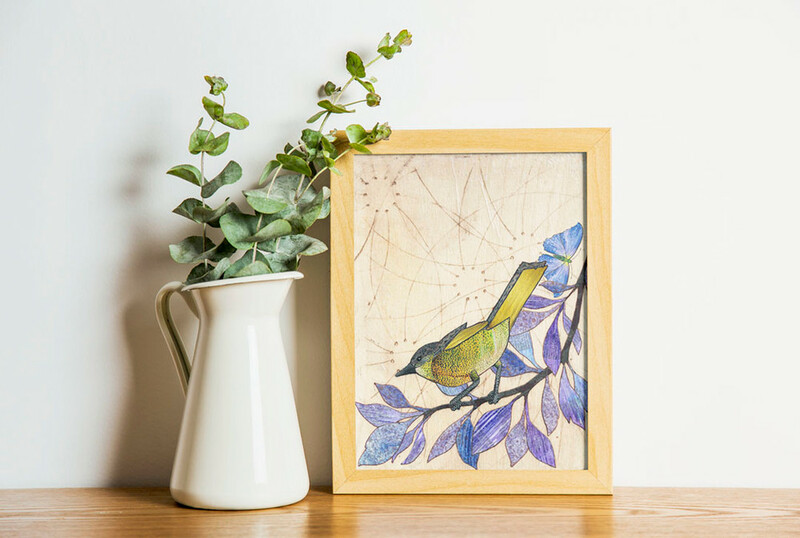 This idea inspired me to create this bird collage with a back-ground sparking with energy. The title Meadow Vale is the name of the region of the index papers I painted and used for the leaves. This year I intend to shift how I pilot my course by trusting the promptings of my Heart and letting them guide me. The language of the Heart is emotion which is energy in motion. If it feels good, I will move forward, if it feels bad, I will pause. I hope my work is a reminder that we too can tap into invisible energies that can help guide us.